Any chance we might someday see a StingRay SS? I think it would be pretty cool to have a passive one. I'm not a fan of the Caprice or Cutlass body styles. I really prefer the StingRay body shape to all other 4-string designs. Like an HH or HS in Position 2. Sting Rays also sound fantastic with passive circuitry. Interesting idea. Last edited by Rod Trussbroken; 12-01-2018 at 05:01 AM. While interesting... it pretty much is lacking the defining characteristic that makes a Stingray a Stingray. 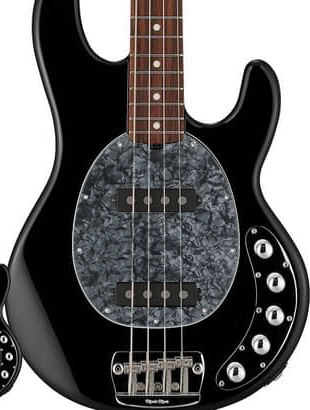 It would be like a P-bass with no split center pickup. That bridge Humbucker through an active preamp IS the Stingray sound. I'm not sure where you got the idea that it would be like a Precision bass, rather than like a Jazz Bass. I mean, sure, if you want to stay stuck in 1976, go right ahead, Ernie Ball still makes the old StingRay. But maybe other people want something, new, too. He's simply saying that it's not a "Stingray". And I agree. If EB would make something like this, calling it Stingray doesn't really make sense. I guess you could argue that it's Stingray because of the body shape. Oh well. For example: say you have a P bass body with 2 J single coil pups. 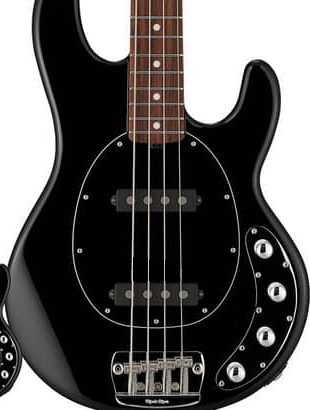 That's definitely not a P bass to me, but others might disagree. Yeah... I'm pretty much saying that a stingray configured like that would not be a stingray. It's missing the thing that make a stingray a stingray: that bridge humbucker in the sweet spot. That's what created THE Stingray sound. Don't get me wrong, I love a bridge single as much as the next guy. My Stingray 5 HS has that position on the selector. But if I couldn't get that bridge humbucker sound, I wouldn't own it. That's what I got it for. The OP means single single pickups with SS, the new Stingray SS is "short scale."